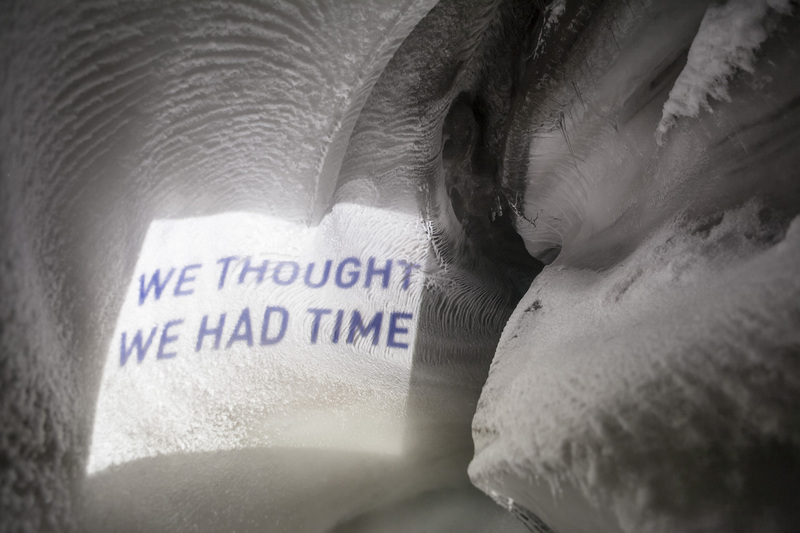 The series of interventions in the Arctic landscape documented through photographs responds to the literary quotes from the work on paper Last Words. 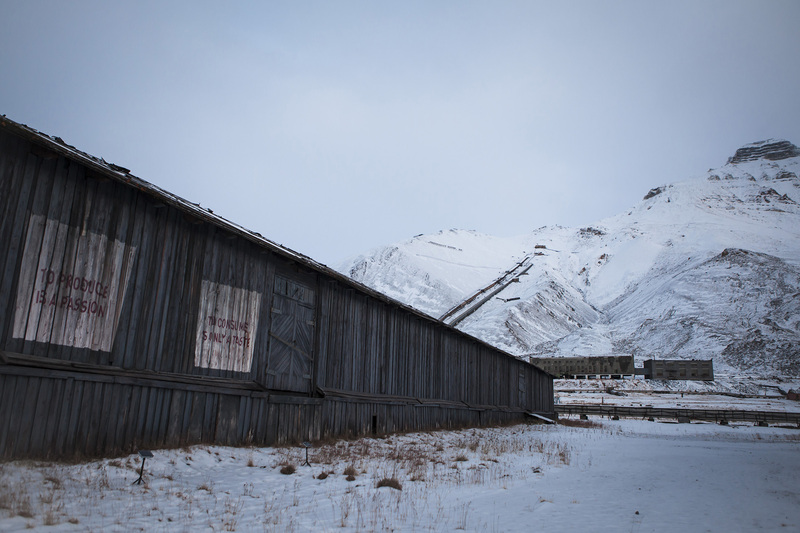 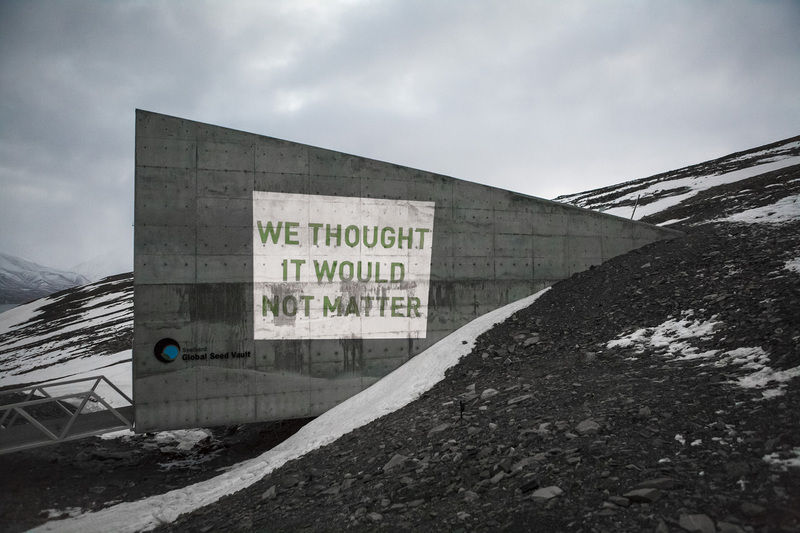 The texts either invented or quoted from Tarde’s novel and Tennyson’s Ulysses are projected in Pyramida, inside a glacier, or on the door of the underground permafrost Seed Vault of Svalbard, whose aim is to safeguard as much of the world’s unique crop genetic material. 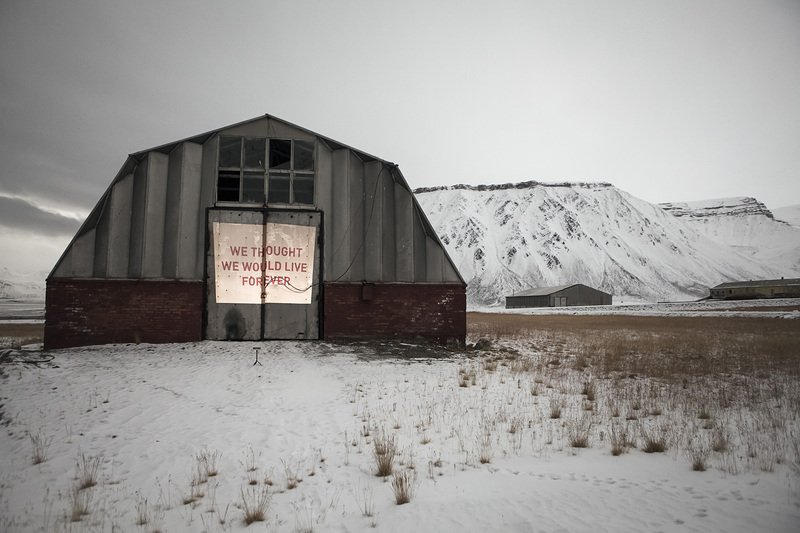 These interventions in the landscape point directly at contemporary attitudes toward the anthropocene, yet appeal to larger contexts of different postures of being in the world. 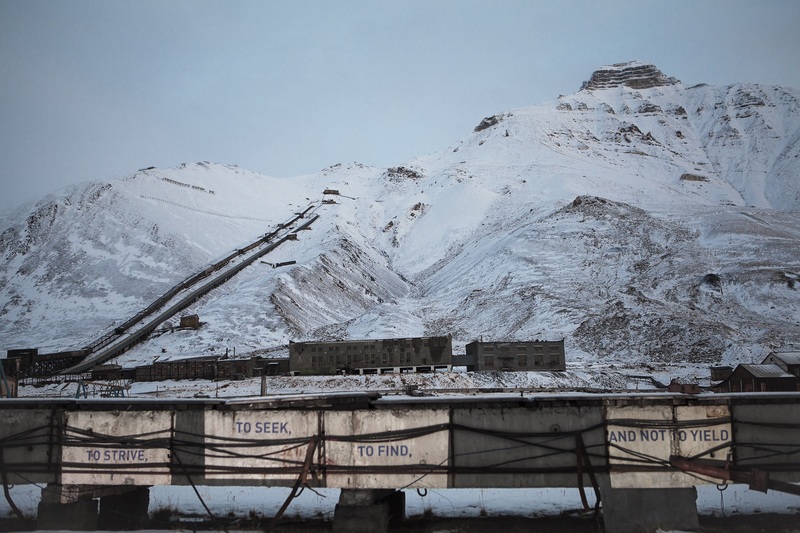 “It is with this frame of mind that Maridet has approached the photographic documents of his journey. 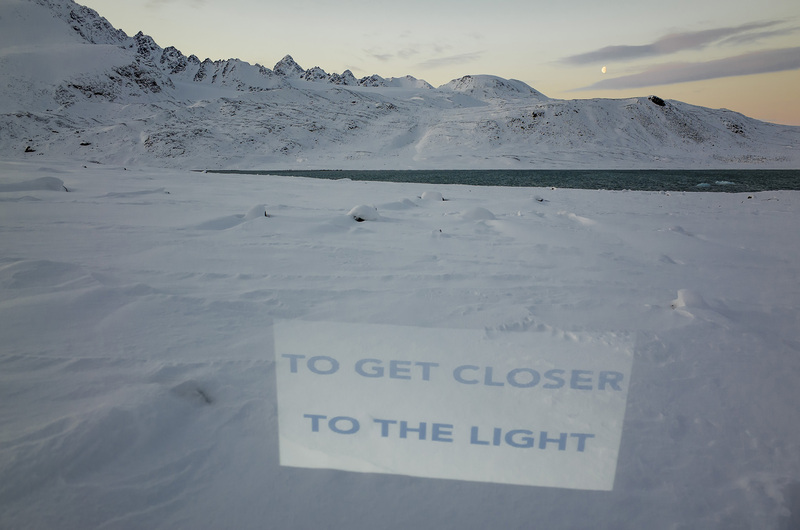 Not content with taking straight photos of the Arctic landscape, he opted first to intervene with projections of more literary quotations, this time invented, or borrowed from Gabriel Tarde (The Underground Man) and Alfred Tennyson (Ulysses). 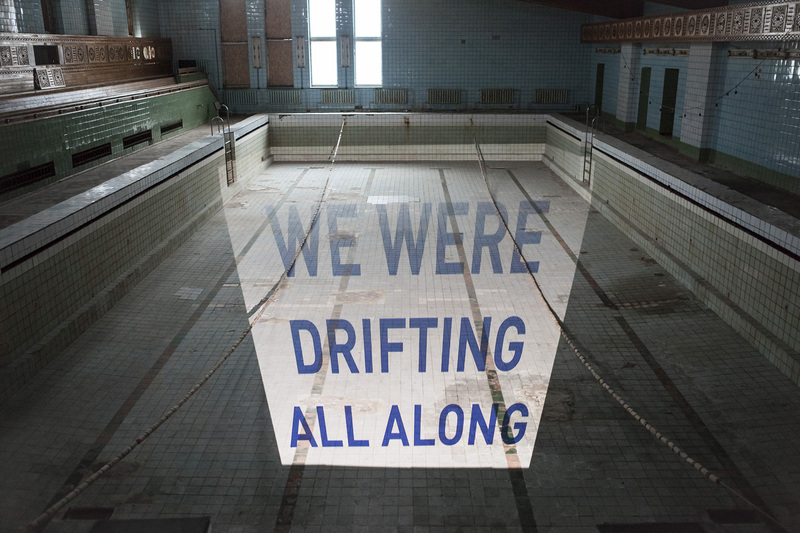 These texts function like anamorphic stains, distorting our view of the bleak landscape with their cautionary messages.